We love our volunteers! They are what make our festival happen, and what make it special. 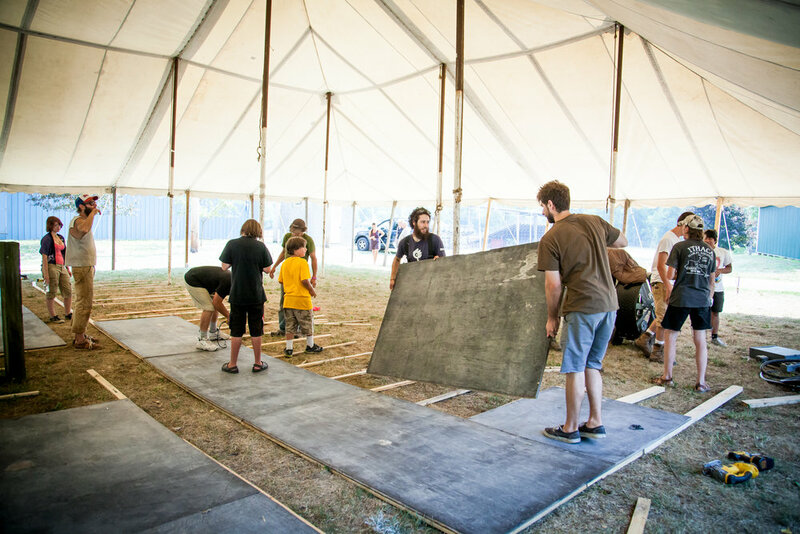 Want to be a part of our community by giving time and energy to create festival magic? Please fill out an application. We'd love to have you! If you have any questions that aren't answered by reading the information on our website please feel free to e-mail us at volunteer@grassrootsfest.org. Why should I be a volunteer? For many people, GrassRoots wouldn’t be GrassRoots without volunteering. It’s about helping make it all happen. It’s about getting to know people. Also, in trade for your volunteer hours you get a festival ticket. How many hours do I have to volunteer? The average volunteer commitment is 12 hours for a 4-day pass. There are some crews that only require 9 hours. If you are interested in volunteering for a day pass, the trade is between 3-4 hours (depending on the crew) for every day pass you wish to volunteer for. Can I volunteer for a day pass? Yes! 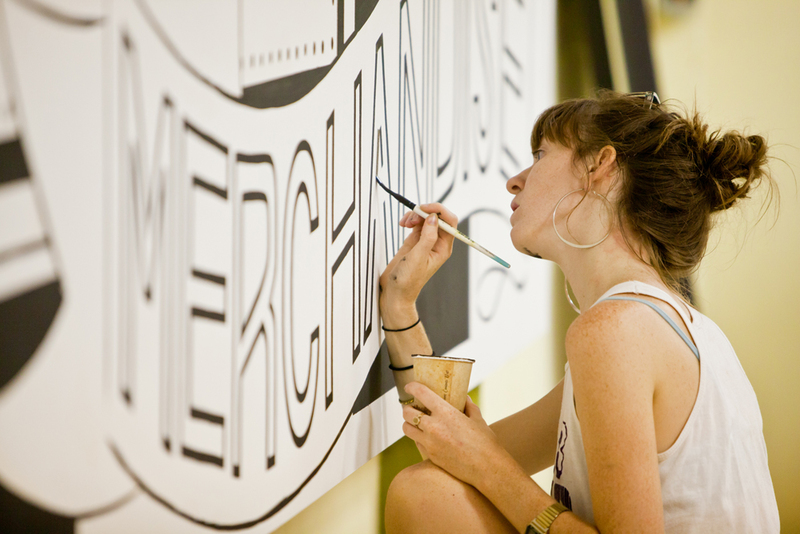 The average volunteer commitment is 12 hours for a 4-day pass [12 hours/4 days = 3 hours/day you are at the festival]. That's an average though, some crews require that you complete a 4-hour shift for a one day band. Make sure to verbalize the number of days you plan to attend while you are being scheduled [details on the scheduling process below] and we'll make sure you have the correct crew-match based on your skill set and the number of days you plan to be at the festival. What’s up with the volunteer deposit? The volunteer deposit helps ensure the volunteer-ticket trade. We will only be accepting credit cards as forms of deposits this year. We will swipe your card at the festival.There is then a 7 day hold placed on your account for the amount of your deposit If you do not complete your agreed upon volunteer obligations, we will charge your deposit. If you complete your volunteer hours, we release the hold 1 or 2 days after the festival. How do I put down my deposit? When do I put down my volunteer deposit? 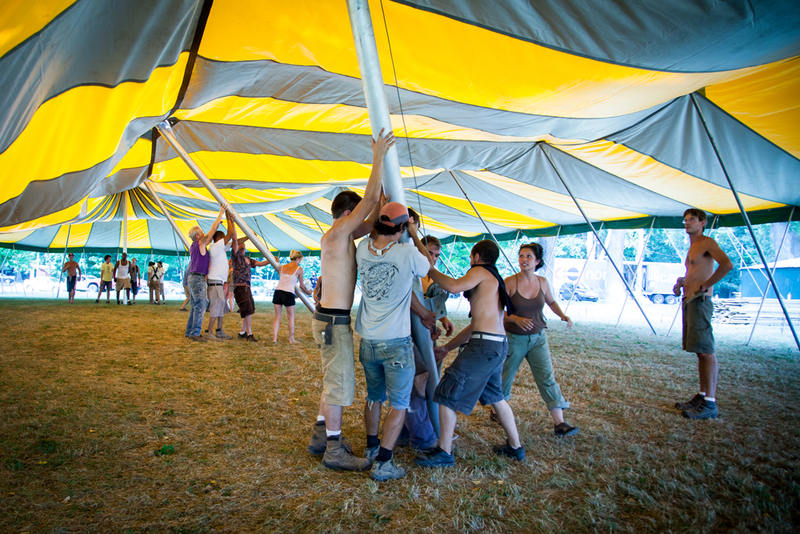 We take your deposit when you check in at the Volunteer Tent at the festival. The deposit is equal to the amount of the at-gate cost of the ticket you are volunteering for. A 4-day pass requires a deposit of $150. If you are volunteering for a single day or two-day pass, please see the ticketing portion of the website to find out the total of your deposit. Can a friend or family member put down my deposit for me? Yes, however you must have them complete the authorization form prior to coming to the festival. I completed the online application, how long before I hear from someone? Where do I get my wristband when I arrive at the festival? You check in at the Volunteer Tent, which is located at the front gate of the festival (on Rt 96/Main St, Trumansburg). You cannot check in until 9am Thursday. If I am under 18, can I volunteer? Yes, if you are at least 13. However, a parent or guardian must be present at the festival with you (or on the same shift if you are between the ages of 13 and 15). You must also have your parent or guardian complete the form found on the youth volunteer info page. You are responsible for securing your own camping pass. Volunteers cannot volunteer extra hours in trade for camping. Please visit the camping info page for more information about camping at the festival. What if I have to cancel my shift? Shift cancellations must be down within a week of the festival. Cancellations should be done via phone: (607)-387-7764. If you have to leave a message with your first and last name spoken clearly and repeated twice. If you have to cancel and the festival has already started send an e-mail to: volunteer@grassrootsfest.org. Failure to improperly cancel your shifts risks your eligibility for future GrassRoots volunteer opportunities. I have another question, who should I contact? © 2017 Finger Lakes GrassRoots Festival of Music and Dance - All rights reserved.